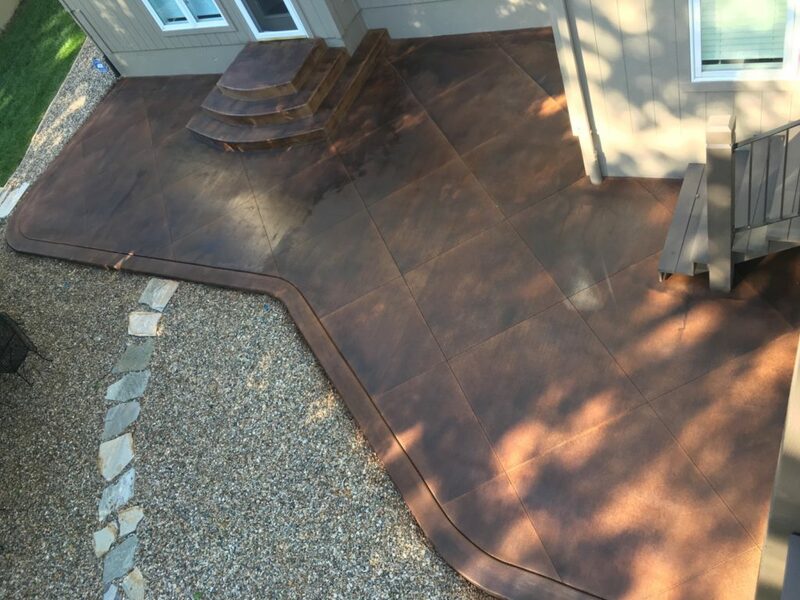 Stained and colored concrete have always been a popular option when designing and installing a new patio, driveway, walkway, pool deck, and more. 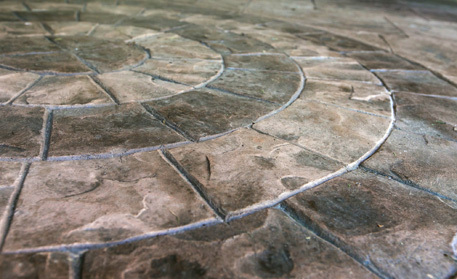 Colored concrete allows you to customize the look and feel that fits your personality and the area surrounding it. 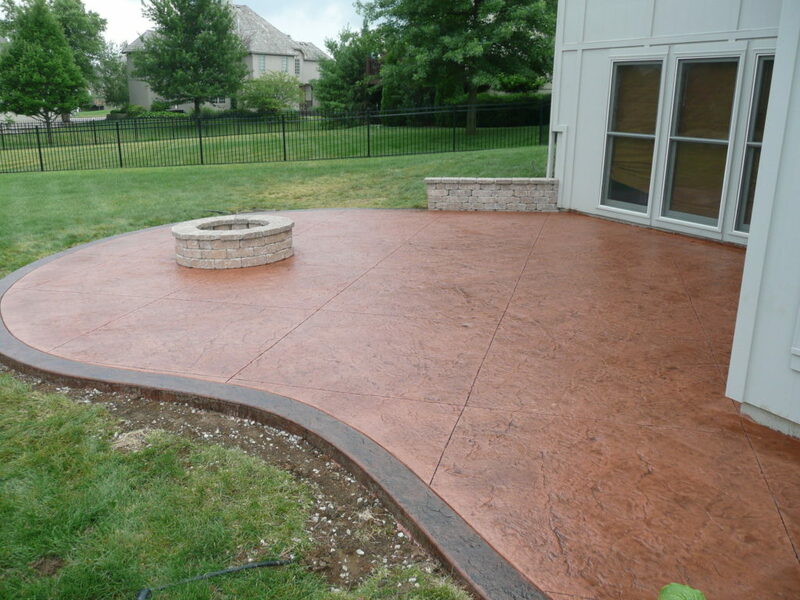 Aesthetic Concrete Designs has helped resident of Kansas City with quality colored and stained concrete that’s designed to last in our ever-changing climate. Stained and colored concrete is achieved by using the natural variation in the color, density and chemical content of the concrete to achieve a beautiful color. By incorporating stamping, we can help you create attractive patterns that look like brick, wood planks, tiles, and more. Colored decorative concrete is a great alternative to patio pavers, wood decking, and other surfaces, as it’s durable, cost effective, and each installation can be totally unique. Concrete can assume nearly any shape, pattern, texture, or design. One characteristic that distinguishes our decorative concrete is the color and patterns that are available for your project. We can help you blind your project with nature, or make a bold statement with a dramatic design and color palette. The number of products for coloring concrete has never been greater, and many additive manufacturers offer an extensive palette of shades to choose from in order to achieve your preferred color for concrete. Aesthetic Concrete Designs can help you plan the perfect color for your next project, making it uniquely yours. Contact us today to get started on your next concrete project.